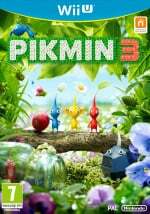 One title that quickly kicked the software malaise around the Wii U into touch for existing owners in recent months was Pikmin 3, a project clearly of major significant to Shigeru Miyamoto. The real-time strategy title delivered, too, earning strong reviews around the web and positive word of mouth from those that picked it up — we ourselves awarded 9/10 in our review. In a wave of interviews around the title prior to its launch there were hints that more content may arrive, with Nintendo's previous DLC efforts encouraging those prospects. In today's Nintendo Direct broadcast Satoru Iwata confirmed a first DLC pack that adds new challenges in the Mission Mode; called the Collect Treasure pack, it's available right now for $1.99 / €1.99 / £1.99 and includes "Mission Mode Stages 7-10", with more to be announced in the future. A software update, live now, is required to access the DLC, with everyone entitled to one free DLC mission — a promotion similar to that taken with Fire Emblem: Awakening. Satoru Iwata also explained that today's Pikmin 3 software update also improves the in-game online leaderboards, making it easier to see the top scores from around the world. Have you played much of the Mission Mode in Pikmin 3, and are you tempted by the DLC? This is good, good stuff at a good price. I'll buy it soon. This sounds like DLC that I would be interested in. I'll try to pick it up soon. $1.99 = £1.99, really, Nintendo? That's almost double the price. They need to sort this out. It's bad enough how the eShop stuff is priced, but at least with games you can just go and buy the physical release for way less. I didn't play much of Mission mode, mainly because I was pretty satisfied when I beat the campaign, but $2 isn't bad for 4 missions, especially the Treasure missions (my favorite of the three types). I'll probably get this and Kung Fu Rabbit while it's on sale. @Peach64 Doesn't the UK have a VAT tax? Try the mission modes, they are more fun than I expected and add some longevity to the game. I didn't expect much at first and continuing dlc makes it a pretty great value. There's a couple surprises that aren't in the campaign, too. My scores are pretty bad at this point and seeing one trick slipped into that broadcast kinda blew me away and I want to see what else is possible. My kids played mission modes until they "plat" all of them. I got all bronze and decided that was enough for me, though my kids and I play together occasionally just for kicks. The update starts when you put Pikmin 3 in and click on it. Only took about 4 minutes to DL and a minute to update, much shorter than last nights 648mb update. Played the freebie and it took me 2x to bronze it so they may have made them a little more difficult. On a down note it's the same locations - freebie in the update is "tropical" so you aren't really paying for new areas, just stuff moved around in the old ones. Would have been nice if they used some of the Bingo levels, I really like the toy levels. I'll buy the 4 levels for $2 for my kids but I'll just bronze them as usual. Does the eShop have a "cart"? I wanted to buy this DLC and Kung Fu Rabbit but couldn't figure out a way to only pay once. Seems like an oversite if they are going to continue to have DLC and retail games and sales. People who get a Wii U for Christmas may want to DL 4 or 5 things all at once but may stop after 1 or 2 if they need to keep going thru the entire process for every single item. @MixMasterMudkip The UK price is nearly double the US price. @element187 VAT is 20%, this is much higher. $1.99 converts to £1.23, and VAT would be a further 25p. That's £1.48, but they're charging 35% more than that. It's not a tax thing, it's Nintendo being greedy with their eShop thing. I can go pre-order Pokemon XY at Tesco for £27, but on the eShop it will be £40. I can go pre-order Wind Waker at an online retailer for £37, but on the eShop it's £50. I'm not that into mission mode, but I'll definitely give the free level a try. I'd kill for an extension to story mode, though. Bought it instantly. Mission mode is tons of fun, seriously. It's all about the strategy! @Peach64 aren't those high eShop prices because they don't want to love over the stores? I mean if everyone digitally downloads the games the stores won't get their money, right? It really is a good price for 4 new challenge levels. Sure, they are simply remixed levels but it is indeed a great purchase. I live in the US, though, so 1.99 isn't bad. Just been on the UK eShop and it's £1.79, not £1.99. Great stuff, new life for Pikmin 3 at a price that should make other publishers to take note. Haven't finished the story mode, but my daughter and I have played a lot of the multiplayer missions so we'll be excited to pick this one up. I'm simultaneously excited and worried. Excited that they're into making more Pikmin content. Worried that they're just moving around items in a pre-existing map and selling it to us. I'm worried that we'll only ever get mission mode DLC, and it will hardly be worth buying. Worried that because they can just feed us little tidbits like this, they'll never offer any sort of map editor (which is my ultimate dream--I would pay just about any amount of additional money for one). @Thomas According to @antonvaltaz the numbers are different on the eShop: the British amount should be 1.79 not 1.99. Would you be able to check this? Hm...I can get one for free? That sounds pretty nice, I guess I'm off to download one then. Since there's so little multiplayer content in the game this should have already been included in the game. I can't wait to hear my cousins reaction (who hates dlc) that you'd have to pay for more multiplayer stages. I've had this game for six weeks and I still haven't opened it. As soon as I 100% Rayman Legends, it's on. Neat, that's DLC I'd probably buy. I have yet to beat the story mode, but at $2, you can't go wrong for a quality game like this. You guys get the games cheaper over there to begin with. Just sayin'. We didn't even get a W101 discount and retail is the same price as digital over here, which I know is not the case over there most of the time. If you really want to get into currency exchange rates, the U.S. pays more than the U.K. for basically everything, so I don't see how double the price on cheap DLC is really a problem vs. almost 30% more for every physical version bought in the U.S. compared to the U.K. Yen and the U.S. dollar are basically the same. Your complaint doesn't really make sense taking the entire world into account. Australia gets better deals on digital, BTW. Really SCAR392? I know petrol is a lot cheaper in the US, and when my friends have been on shopping trips in America they come back with CDs, DVDs, clothes, all sorts of things usually smiling and laughing and saying 'IT'S SO CHEAP!'. The W101 discount was an amazing thing but it's an oddity that depended on you spending full price on another game first. Usually games in the UK do come at a premium over the same game in the US, that's been true for decades and it's still true now. The only reason some UK shoppers get cheaper deals is the supermarkets / game stores are in competition with each other and deliberately undercut the prices to ensure sales. The RRP of games in the UK remains high but it's not rare to see a PS3 and X360 £60 game reduced to £45 within 2 weeks of going on sale, and down to £30 within six months. Sadly Nintendo 'evergreen' titles are among the few that maintain that high sale price. Anyway, without getting into a transatlatic flame war Nintendo isn't the only company doing it. The market is set that electronic goods traditionally cost more in the UK than they do in the US, Nintendo is simply matching their competition. It's annoying and I do wish they would stick their necks out and challenge the market like only they can, but in this case it appears they wont. Oh well. I love playing co-operative mission mode with my wife. We just finished all the fruit collecting levels so this is perfect timing! I'd imagine that the next set will be a little more expensive, but they'll be all new levels and not just more difficult remixes. I was talking specifically about video games. Sorry for the confusion, but yes, you are all mainly right. I know some places offer free health care and your wages are different, but I don't really want, or see the point in discussing that. Got them and played through all 3. Leaderboards not up yet. Now of only Nintendoland could add more stages for events as DLC. @JaxonH you say "Nintendo is one of the only companies NOT allergic to free content apparently". Do you know that other companies release, after a year, a GOTY version of their games with all the dlc included for € 40? Will this ever happen with NSMBU, Pikmin 3, FE Awekening...? No. I've played a few mission modes and they are a blast. I beat the story mode, so I plan on getting more involved into these. I'll get the free and paid DLC probably tonight. But now, Dishonored GOTY € 40. One year after its release, you've got the game with a 20% discount and all the dlc for free. Good value, no $15 skin packs like on Xbox. Their dlc price points make sense. Hopefully that doesn't change. How do you know Nintendo won't offer more DLC for free? Besides, they're bundling their games with the console, which basically makes them free. That's a obnoxious assumption to think Nintendo won't make better deals when it hasn't even been a year in the system's life. Oh, tons of Wii remote + with a game deals, too. Nintendo has deals, bro, they just don't include DLC, because only 2 packs is all they've released. It's only $2. BTW, I'll obviously get this dlc cause it's well done, but we all know that it's an exception. I already got this DLC. I had $3 left in my eshop account, so this was a "no-brainer". Really enjoying them so far. Also, has anyone looked at the World Record for the first boss battle in mission mode... it's 18 seconds! How is that possible?! You're missing the point. The consumer is receiving a product in exchange for money in your example. How good of a deal it is is irrelevant. The fact is, nothing is free in your example. I could easily break the numbers down differently, and say a game one year after it's release (non-Nintendo) can usually be found for $20, so you're paying $20 for the game one year after it's release and $20 for the added DLC. Either way, you're still BUYING it. It is contingent upon you spending money. Nintendo giving free DLC away is not contingent upon anything. You are not required to spend a single dime in order to receive the content. It's no-strings attached. It's genuinely "free", not packed in with a game for a competitive price. Now, if publishers announced free DLC for all consumers who bought the game already when they release the Game of the Year Editions, it would be a different story. But they're not. They're offering to sell you the game and DLC at a bundled price, regardless of whether you already purchased the game or not. Bought the game day one? Too bad. Gotta buy it again if you want the DLC bundled with it. And when you buy it again, you're paying for both the game AND the DLC. Nintendo has done this several times. And each time, it has been completely free, not requiring the consumer to spend any money in order to receive it. With Fire Emblem Awakening, Nintendo offered the Champions of Yore Map Pack to anyone with an internet connection free of charge. And then proceeded to offer over 20 maps and items free of charge over the course of the next 4 months via Spotpass. I'm not saying Game of the Year editions aren't a good deal, and I'm not saying I wouldn't like it if Nintendo ever followed suit. What I am saying, is that the two are apples and oranges. One is offering a "good deal for a game and DLC combined", the other is offering "free DLC". Very nice DLC. Thanks Nintendo!